There’s nothing so humble as the common work shirt. Right? It seems like a simple concept: you’re a working guy, and you need a basic men's shirt to get you through the work day with reasonable comfort, ideally looking decent enough to meet the standards of bos ... (see full details) (see specifications) #10019063. There’s nothing so humble as the common work shirt. Right? It seems like a simple concept: you’re a working guy, and you need a basic men's shirt to get you through the work day with reasonable comfort, ideally looking decent enough to meet the standards of bosses and customers. But if you’ve spent any time trying to find good men's workwear that actually does the job and doesn’t cause you irritation, discomfort, or other issues somewhere along the way...well, you’ll understand pretty quickly why the Ariat 10019063 Men’s FR Solid Vented Long-Sleeve Button-Down Silver Shirt is such a big deal. For safety even in hazardous working conditions, this Ariat shirt is fire-resistant, with ratings of CAT 2, NFPA 70E, and NFPA 2112. It has an arc rating of ATPV 8.9 cal/ cm2. This is a flame-resistant shirt designed for men who work. And by that, we mean that it’s a long-sleeve FR shirt designed to stand up to the rigors of heavy use and abuse - yet it still looks good, feels good, and lets you get the job done to your peak ability - and that’s exactly what it pulls off with ease. The 6.5-ounce fabric of this Ariat solid vented button-down shirt is a blend of 88% cotton and 12% nylon in a unique (yet totally versatile and flattering) silver grey color. This is a Sauk II material with wicking capabilities, too. It’s cut and styled just like a classic button-down with a touch of Western flare; it has long sleeves, a button front, two chest pockets, and adjustable cuffs - but there are some details hard at work beneath the surface that take it above and beyond the competition. Like, for example, check out the built-in honeycomb mesh side panels. Beneath each arm, down the sides of the torso, are subtle sections made from durable cotton ventilated fabric that allows for serious air movement when things get warmer than you wish they would. Combined with the second vent spot built into the back of the silver grey shirt (but virtually invisible from the outside), this means that you're less likely to overheat or get too sweaty even when you’re working in stuffy or sunny conditions. And, if you do somehow manage to start sweating anyhow, the fabric is engineered to wick moisture off of your skin, so it evaporates quickly and your temperature stays totally regulated. You’ll be amazed how much difference it makes. This men’s flame-resistant shirt is cut for ease of movement, with Ariat’s special “Greater Arm Mobility” engineering hard at work to give you plenty of flexibility within the button-down shirt - without looking or feeling baggy or stretched out. The shape is still slim and flattering, but you don’t have to worry about not being able to raise your arms properly, or feeling the pull of fabric across your back when you’re carrying something heavy. The Ariat workwear flexes as you need it to flex. Sometimes, the common work shirt isn’t quite so common. If you’ve struggled to find a men's shirt that will let you get the job done, you’ve found one. If you were kind of wishing to find workwear that not only lets you work hard, but also kept you looking and feeling your best while doing it, then the fact that you just found the Ariat 10019063 Men’s FR Solid Vented Long-Sleeve Button-Down Silver Shirt might be the best thing to ever happen to your closet. 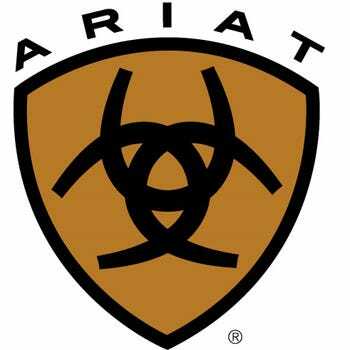 Order your Ariat FR workwear from Working Person's Store to get the ultimate flame-resistant protection. Ariat Work FR Shirts: Men's 10019063 FR Solid Vented Long-Sleeve Button-Down Silver Shirt is being added to your cart.